Debbie Q. Cheek, FDTC Accounting Manager; Lois M. Prince, FDTC Admissions Recruiter; Bradley “Gavin” Smith, SiMT Facilities Assistant. Florence-Darlington Technical College (FDTC) hired three new staff members in the month of April. Debbie Q. Cheek joins FDTC’s Business Office as Accounting Manager. Cheek earned her Associate of Science degree in Accounting from Northeastern Technical College. She also holds a Bachelor of Science degree in Operations Management from Coker College and a Master of Business Administration degree from Francis Marion University. Cheek earned a Doctorate in Higher Education Leadership from Northcentral University. 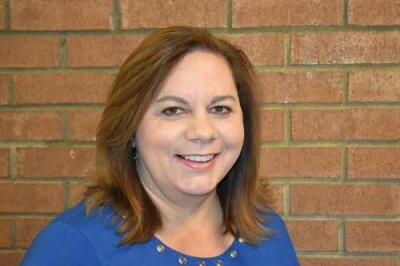 Her previous work experiences before coming to FDTC, include Controller for Cooper Hand Tools, Accounting Manager for SOPAKCO Packaging and Vice President of Business and Finance at Northeastern Technical College. Lois M. Prince is a new Admissions Recruiter at FDTC. She earned her Bachelor of Science degree from South Carolina State University in Criminal Justice and her Master of Science degree in Counseling is from Webster University. Prince’s previous work experiences include Deputy Director for the Legislative Black Caucus, Adjunct Professor at Centura College and Campus Director for the Boys and Girls Club of the Midlands. She has also been a substitute teacher for Richland School District Two, CTS Case Manager for the Job Corps, Career Services/Admissions Coordinator for York Technical College and a Career Services Coordinator for Centura College. Bradley “Gavin” Smith is the new Facilities Assistant at the Southeastern Institute of Manufacturing and Technology (SiMT) at FDTC. Smith previously worked as the owner/ operator of BGS Video and part-time audio visual technician at the SiMT. He’s also the owner of Locked Inn Escape Rooms. For more information on Florence-Darlington Technical College, visit www.fdtc. edu or call 843-661-8324.